The challenging nature of healthcare can lead caretakers to feeling burnt out, losing motivation and disengaging from patients. 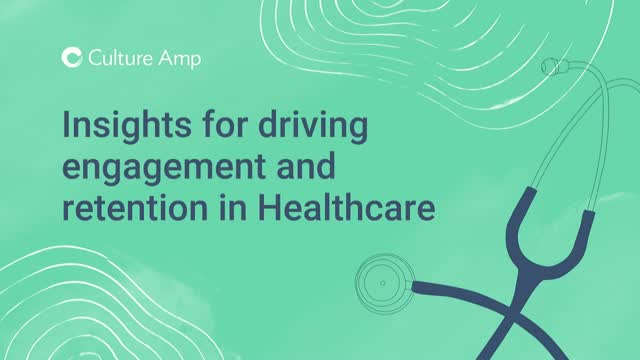 Culture Amp helps healthcare providers identify what’s driving engagement so data-driven decisions can be made to motivate and retain doctors and nurses. Join us on Wednesday, November 7th at 1 PM EDT / 10 AM PDT for an interactive webinar with Culture Amp’s Senior People Scientist Kenneth Mattos, One Medical’s VP of HR Danny Briskin and HR Business Partner Ashley Sutton.